Marvel and Disney are pulling out all the stops as Black Panther prepares to pounce on the box office next week. Over the last few days, the studios have released multiple teasers, ads, and TV spots for the latest big screen adventure. That trend continued today, when star Chadwick Boseman unveiled a brand new IMAX edition of the film's poster. In order to celebrate Black Panther's IMAX release, the new poster puts an artistic spin on those that have come before it. 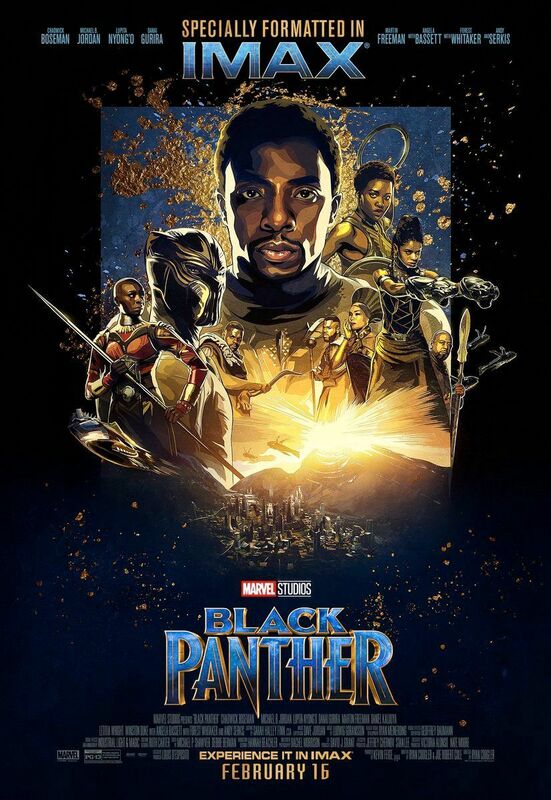 Killmonger, Shuri, Okoye, and several other Wakandan characters are painted onto the poster, all surrounding their king, T'Challa. The entire group is placed atop a sprawling landscape of the great nation Wakanda, with the sunset shining through between them. This poster adds an entirely new level to the hype surrounding the film, which has just reached an all-time high. On Tuesday morning, the review embargo for Black Panther was finally lifted, and critics flooded the internet with their thoughts on the movie. Unsurprisingly, the reactions were beyond positive. Of the 50+ reviews that have been counted on Rotten Tomatoes, not a single one was negative. The movies is currently boasting an unprecedented 100 percent score on the review site. ComicBook.com's own Brandon Davis reviewed the film, giving it 4 out of 5 stars and saying, "Chadwick Boseman’s T’Challa is set to take on the mantle of King with the support of some incredibly well written and acted, often superior female characters and Marvel’s most entertaining villain to date." 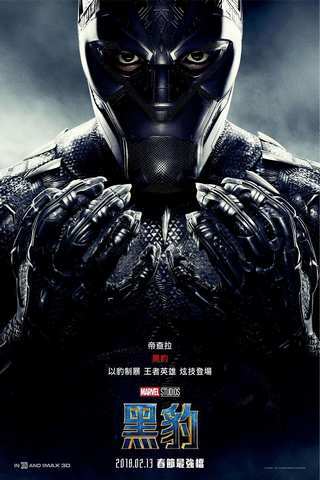 Directed by Ryan Coogler, Black Panther stars Chadwick Boseman, Danai Gurira, Michael B. Jordon, Lupita Nyong'o, Letitia Wright, Andy Serkis, Martin Freeman, Angela Bassett, Daniel Kaluuya, Winston Duke, and Forest Whitaker. Black Panther will be released in theaters on February 16.